Nepal Hotels, Bungalows & Lodges. Choose from all kinds of hotels while touring Nepal. These precious abodes offer a look into the country’s rich and glorious culture through their fascinating art displays, architecture, and cuisines. Start your adventure at Dwarika’s Hotel, Kathmandu. Nepal flourished as a civilization between the 12th and 18th centuries, and its artistic achievements were perfectly portrayed through Newari architecture. Dwarika’s Hotel combines splendor and opulence with a rich architectural legacy to present meticulously designed rooms which remind you of the royal suites once used by the Kings of Nepal in the 14th century. Leave the chaotic scenes of Kathmandu behind as you proceed to the next part of your journey, the beautiful Shangri-La Village in Pokhara. 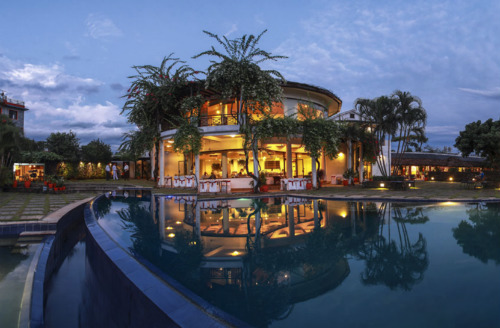 This incredible property is everything you dreamt of while booking your adventure. Each room offers a magical view, and the architecture reminds you of traditional Nepal. 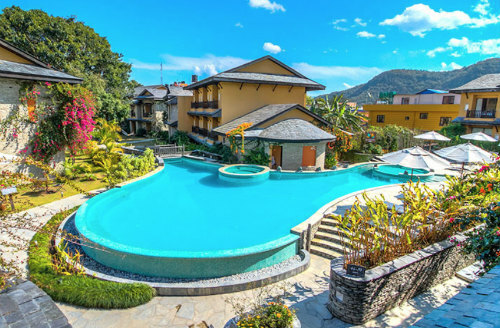 Reflecting pools highlight the opulence of this Himalayan beauty and charming gardens offer peaceful retreats for the evening, guaranteeing magnificence. Nepal’s national parks are also known to be brimming with wildlife and the best way to celebrate animal sightings is from the windows of authentic jungle resorts such as the Temple Tiger Green Jungle Resort or the Taj Safari Meghauli Serai, luxury accommodations that offer easy access to those single-horned Asiatic rhinos and Bengal tigers. Nepal whips up hotels to suit every style, a pleasant stay for each budget. Book your Nepal hotels with us and get access to the very best hotels in the country, at never-before prices. 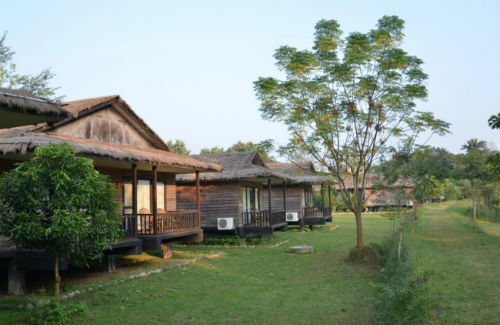 Barahi Jungle Lodge insinuates the austerity of Chitwan National Park. Experiencing refined luxury in the panoramic savannahs punctuated by Rapti River as overlooked from Barahi’s vantage point is a parallel universe retreat. We take immense pride in strengthening the bond of nature and mankind through our itineraries. The ambient outlook and sort after interiors of the lodge give a stunning insight into the aboriginal Tharu culture of Nepal interlaced with the wilderness of Chitwan. 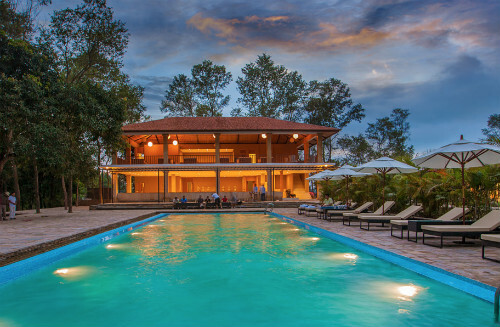 The river facing pool and deck add up to the up-class luxury created at Barahi Jungle Lodge. Adjacent to Chitwan national park in the buffer zone, Tharu Lodge offers guests the opportunity to escape the rat- race and experience Nepali village life, the jungle, and our twelve resident elephants which you can ride, feed and wander with down to the river for a bath. The lodge offers you fantastic cultural interactions; you can take a bullock-cart ride through local villages and a visit to the local school. 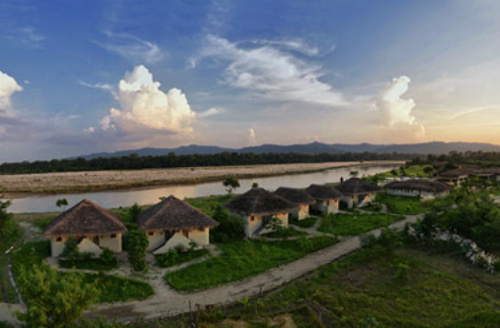 Tigerland Safari Resort is built on the banks of a river that separates the lodge from Chitwan National Park. There are 32 cottages, each with a private balcony, toilet and shower. The rooms are well appointed with all modern comforts and amenities. 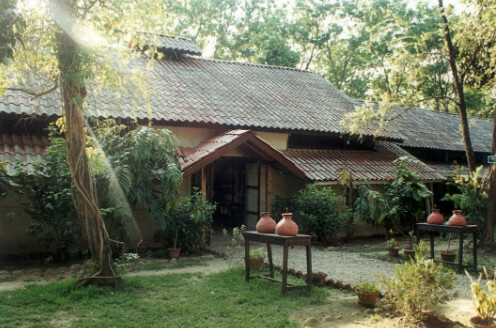 Built on stilts, the cottages are spread over a 10-acre property with views of the greenery around. Kasara is located on the borders of Chitwan National Park, a UNESCO World Heritage site. The essence of Kasara’s design is a blend of simple luxury in a lush and natural jungle environment. We are proud to be able to offer this unique choice in the Chitwan National Park area, the country’s most visited national park. Built upon a rich tradition of Nepali hospitality and incorporating some of the country’s most beautiful architectural traditions, the Dwarika’s Hotel in Kathmandu is an authentic experience of Nepal’s ancient cultural heritage. 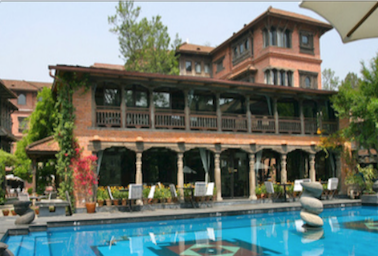 The hotel houses an extensive collection of artefacts from the 13th century onwards, and the buildings and courtyards house some of Nepal’s best craftsmanship – capturing the beauty and spirit of an ancient city. 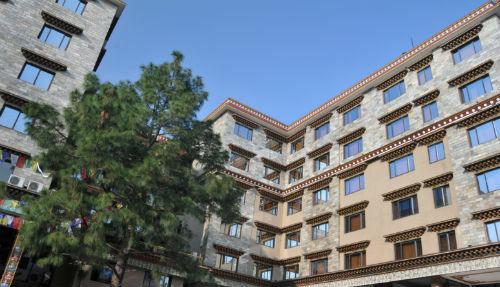 Tibet International as the name possibly gives away is a Tibetan concept boutique hotel, taking its inspiration from Tibetan architecture. With 68 rooms, the hotel has all the amenities and services you would expect from a 4-star hotel. Fitted with wooden flooring, all air-conditioned rooms come with a flat-screen TV, personal safe and tea/coffee making facilities. Some rooms also have a minibar. En suite bathrooms have hot-water showers. The Shangri-La Village nestles in the tranquil heart of Pokhara. The great getaway of Nepal – beneath a towering rampart of majestic show peaks. Every room offers a spectacular view. Architecture inspired by the forms and textures of Village Nepal, charming gardens, reflecting pools that mirror the splendour of the Himalayas, a swimming pool that also uses a waterfall…. These are some of the wonderful surprises that the Shangri-La Village has in store for its guests. Tiger Mountain Pokhara Lodge. 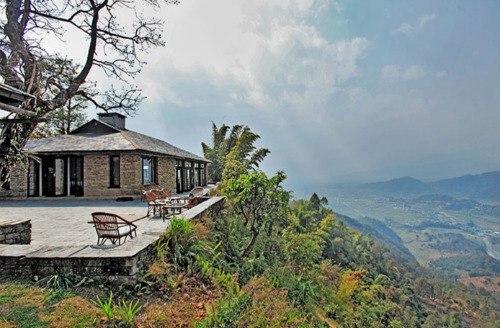 Perched 1,000 feet above the Pokhara Valley with a spectacular Himalayan backdrop, Tiger Mountain Pokhara Lodge provides a perfect haven, the essence of tranquillity. Ideal for guests pre- and post-trek, or for those wishing to take day walks exploring local communities, bird-watching, gentle exercise, or just to relax in a typical Nepalese rural setting. 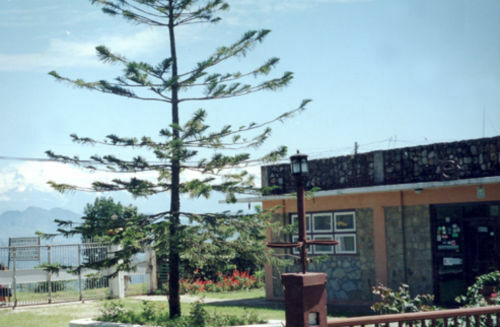 Hotel Srinagar is located at the top of Town at an elevation of 1475 meters above sea level. It has a lovely setting with a homely atmosphere. The hotel is within proximity of Tansen Durbar and Shree Amar Narayan Temple. As there is not much choice of quality hotels in Tansen, this is our preferred hotel for western guests, don’t expect too much from the hotel it is basic, the attraction is outside your hotel.